I enjoyed a pleasantly quiet morning while Luke tried out some of his new toys. 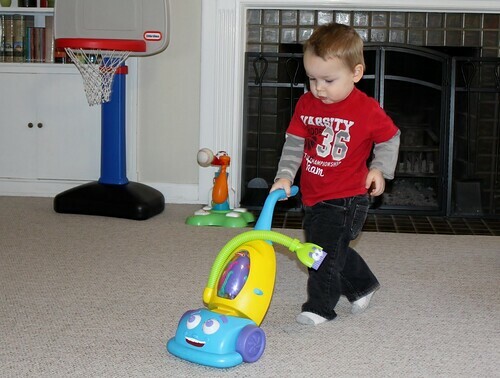 I'm surprised he even knows what this toy is because the only thing we have in our house is a Roomba iRobot vacuum. Also, I definitely should have tested it out at the garage sale before buying it because it is a WEE bit annoying. 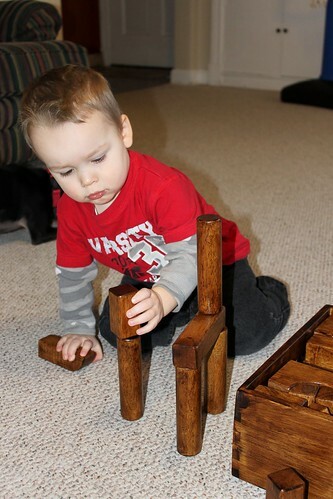 These fabulous handcrafted blocks from Grandpa DJ have already been the cause of hours of creative play today.